China was long regarded as the sleeping giant of the music world. 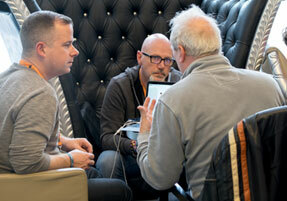 But now the picture is changing, influenced by the dynamics of technology, political change and cultural opening. We are pleased to welcome Scarlett Li (VP - Music & Live Entertainment Division, China Media Capital, CN) and Mathew Daniel (NetEase Cloud Music, Vice-President, International, CN) to the conference line-up, two distinguished speakers who will bring us up to speed on the potential of the Chinese music market. We are also looking forward to hearing from Jean-Noël Tronc. The CEO of Sacem, the second largest collecting society in the world, will deliver the keynote address for the conference’s "Rights Management" strand. Jackie Wilgar, Senior Vice President Marketing International at Live Nation Entertainment and one of Billboard magazine's "Top Digital Power Player 2017", will open the "Marketing" strand with her keynote. 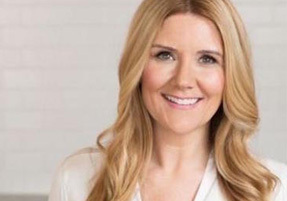 As Senior Vice President Marketing International at Live Nation Entertainment Jackie Wilgar oversees the development of digital consumer technology in web, mobile, social, CRM and media for an expanding business in over 40 countries. With 90% of the Live Nation International Festivals now using mobile app tech, she is indeed a „Top Digital Power Player 2017“ as Billboard magazine called her recently. We are happy to learn from her about the integration of a single platform for content distribution and an interactive global discovery map for more than 125 festivals and how these helped to constantly increase ticket sales and partner revenue across international markets over the recent years. From our 2018 partner country, France, Jean-Noël Tronc is CEO of Sacem, the world's largest music society for authors, songwriters and publishers. With its political and legal aspects, rights management lies at the heart of the music industry. The 2019 European elections are already looming, so common issues like the ongoing copyright reform must be addressed and the role of the creative culture industries as an integral part of European identity must be discussed. Jean-Noël Tronc has recently been appointed as “cultural and creative industries unifier” by the French Ministry for Europe and Foreign Affairs. 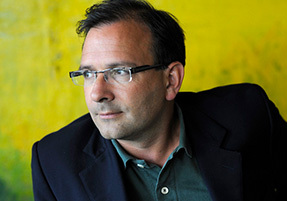 At the Reeperbahn Festival Conference he will talk about the “soft power” approach that characterises the French and European positions in the global market. 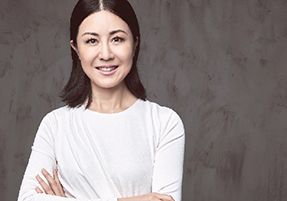 One of China’s leading media and music executives, Scarlett Li founded Zebra Media in 2008, today China’s No 1 music festival operator. Zebra Media organises the largest music festivals in China, including the Zebra Music Festival (ZMF) and Electric Daisy Carnival (EDC), attracting more than 150,000 people at multiple locations in China. Scarlett joined CMC Holdings in 2017 as the VP of the group, responsible for music and the live entertainment division. There she also manages the participation in the leading global entertainment and sports agency Creative Artists Agency (CAA). Mathew Daniel is vice-president, international, of NetEase Cloud Music, the fastest growing music streaming service in China – in just two years it reached 100 million users and currently has over 400 million users. 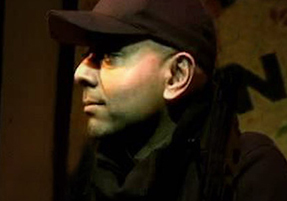 Mathew has been one of the pioneers in the development of the music licensing market in China for the past 13 years, having started the distribution company R2G with his partners. After the acquisition of R2G by Tencent Music in 2016, Mathew moved to NetEase Cloud Music (NCM) to head up their international music division. He has long been a friend to the independent music community, and in addition to launching the first legal independent music store in China ten years ago, he paved the way for many international artists to legally distribute their music in China, including then unknown artist Adele. How does ANCHOR know the best emerging act in 2018? 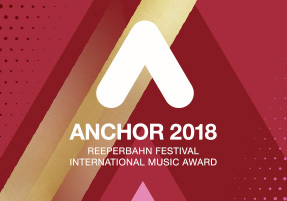 While applications for ANCHOR 2018 - Reeperbahn Festival International Music Award keep coming in (deadline is 12 July), we are proud to present the ANCHOR 2018 Board, who selects this years' nominees! The ANCHOR 2018 Board is a prestigious group of insiders from the live, publishing and recorded music industries as well as media representatives who will set out to review all ANCHOR applications by July 31. Those acts with the best ratings will become the ANCHOR 2018 Nominees and perform their live shows at Reeperbahn Festival not only in front of the festival audience but also a prominent jury. From France, our country in focus, we are delighted to welcome Geneviéve Girard (Azimuth Productions), Caroline Molko (Warner Chappell Fr.) and Jean-Daniel Beauvallet (les inrockuptibles) and would like to thank Le Bureau Export for the cooperation. We also have arranged great travel offers with our partners available to all registered delegates of the Reeperbahn Festival 2018.